Susan Speaks: This Thing On? Happy New Year, friends, clients, acquaintances, writers, and the odd stalker or creepy person! I figured it was a good time to stop in, check in, see how everyone is. It’s January 2, after all. It should be an inauspicious day, although longtimers around here know it’s not, and they know why. It’s been busy over here. I worked all through the break and to be honest, I can’t remember the last time I took a day off. And I’m still not caught up, so thank you for the continued trust and work. Best of all, it doesn’t feel like work anymore, and it’s certainly not drudgery. Editing is the best challenge, brain game, and use of my time — not to mention stress relief! If 2019 continues for me the way 2018 went, I don’t expect that string of no days off to change. By my count, I have room for about 11 projects all year — but don’t let that intimidate you. Remember that I do work on a Send When Ready schedule, so one of those anticipated eleven openings might happen right when — or maybe a day or two after — you need me. Please keep referring work my way, and if I can’t handle it… well, truth be told, I’ll figure out a way to work it in. This is what you do when you love what you do. One thing I want to make time for in the upcoming weeks and months is conducting workshops, preferably (gasp) in person. Writing conferences, retreats, even meetings. When I haven’t been editing, I’ve been developing a pretty broad-based portfolio of workshops. I’d like to beta them, so if you’re in the area, keep your eyes open for details and invites to join in. Help me help you make the best book possible. That’s it for over here. It’s been quiet even as it’s been busy, and as soon as I have more of these workshops tamed, I intend to return to blogging on a more regular basis. There’s only so much time in the day, after all, and you guys who pay me money to work on your manuscripts for and with you, as always, have top priority of my time. Let me know what you’re up to. Chat with me on Twitter (@WestofMars), submit your book for a Featured New Book Spotlight, and keep an eye on the Facebook page, too. No need to lurk, not around me! I’m here in my yoga pants and oversized sweatshirt, living the dream… so join me. This is a rare gem that I gotta share with you guys. I’d been talking to a potential client, like I often do. And unlike I often do, I wound up wishing him well with his writing endeavors, as he chose a different editor. But he dropped back into my inbox a few days ago to ask if he could write nice things about me on his blog. I appreciated that he thought to ask. And especially that he wanted to say nice things. Who doesn’t like receiving public kudos for their passions? I’ll let you go over there and read them for yourself. If you have nice things to say about me, too, I’d love to hear them. I’m told time and again I need a client testimonial page on this here site, but I continue to resist. Why? A lot of reasons, including that I have a lot of clients who, wisely, use multiple editors in their quest to make the best book possible. If you guys flood my inbox, though, with the sorts of kudos that I can’t resist — and more importantly, that’ll help other writers realize how amazing I am — I could change my mind and have my amazing web designer get your words on my site. I kind of like that idea. Because it makes me happy when you guys tell the world how much you love me. Even when you (the horror) hire someone else. It’s been awhile since I’ve posted about the charming narcissistic abuse we’re being exposed to on a daily basis. But this one’s been gnawing at me, so here it is. Know how some members of the media are chasing after our Narcissist in Chief, trying to figure out what he means? Do all the walkbacks, the contradictions, the double-speak give you whiplash? It’s the most basic form of narcissistic abuse: keeping you on the hook, around, dependent on him (or her) for clarification. There is no reality other than what the narcissist creates, and it’s a shifting, slippery, scary place. He (or she) is the only one who can navigate it for you. But if you look at the words and then compare them to the actions, they NEVER match up. They never will. Because the words are a game. They’re the worm on the fishing hook and you’re the trout. You can’t resist; it looks so good wiggling away there on the hook. One bite and it’ll be yours. One more try to kick that football that Lucy holds and you’ll have made it, Charlie Brown. Get it? See how that works? The media comes salvating around, trying to get at the truth of the situation. Would he? Wouldn’t he? Which is it? Yesterday it was would, today it’s wouldn’t, tomorrow it’ll be would, come back Tuesday to see if it’s changed or stayed the same. There’s a hint of an endorphin rush in there, isn’t there? Don’t listen to the words, especially when the words change so fast. Look beyond them, into the spaces the words are designed to hide. Look beyond them, into the actions the words are designed to hide — and no, the spaces and the actions aren’t the same things. Not even close. Close your ears. Tune out the narcissistic abuse that’s nothing more than noise. Stop chasing him around, hoping for the final absolute truth and reporting every last syllable even when it contradicts what your eyes tell you. The only thing you’re doing is hurting yourself — and everyone who’s depending on you for the truth. In the case of the media, the harder they chase, the more they feed into his claims that they’re not truthful. See how that works? Look at the actions. Always, always, always, look at the actions. There’s your truth, even when it’s ugly and hard to admit. Let’s go visiting today, shall we? And while there, let’s talk about Undaunted, and more. 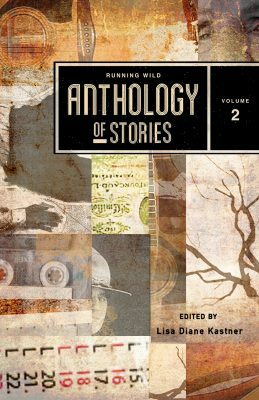 Now, of COURSE you’re going to be seeing a ton of posts about the Running Wild Anthology of Stories (Volume 2) that my newest baby is in. I mean, hello? Isn’t calling my story “my newest baby” enough of a clue as to how I feel about it? Today, I’m over at Julie Doherty’s blog, with an interview that’s about the story, about writing, about my work as a freelance editor… to be honest, it was one of those “pick the questions you want to answer” forms, and I don’t remember what all I said! So join me over there and let’s check it out together. I remember having fun as I filled it out, so I bet you’ll have fun reading it. Isn’t that how these things work? And remember: Pick up a copy of Undaunted. Leave a review once you’ve read the whole thing (or just the story. I won’t mind, although my anthology-mates will!). Susan Speaks: Are you Missing? I had heard of this from others, but didn’t think it was actually happening. Mail has gone missing from Google Mail. Well, after a message between me and a friend vanished into the ether — all copies of it, like I’d dreamed it or something — I realized that nope, it’s real and it’s happening. Gmail seems to be eating messages. 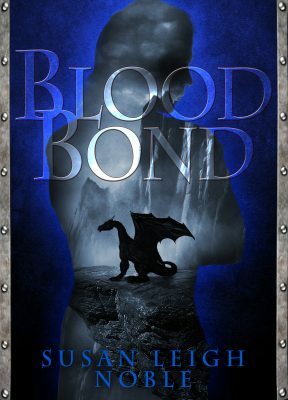 So at this moment in time, I am caught up on Featured New Book Spotlights. If you’ve submitted the form but not heard back from me, resubmit, and include a note wherever you like that it’s a resubmission. Don’t let this go missing. Take the time to recreate. Let me feature your book; it’s one question! And some music, and who doesn’t need music to start their Monday off right? And a quick note: on an editing front, things are arriving steadily, so if you need me, be sure to get into the queue sooner rather than later — and again, if you haven’t heard from me, drop me a note. It’s possible Gmail ate that, too. Grr. Susan Speaks: How About an Eye Update? It’s been forever since I’ve shared an eye update with you guys. That’s actually a good thing — it means there’s been nothing to say. The eye has been and remains stable. And it was that way last week, too, when I saw the surgeon. He’s happy with how it’s healed, although he finally did admit I’ve got a handicap in the form of what’s called a Lamellar hole. It’s confusing to explain what exactly that is, but its presence explains a few problems I have with my vision: letters drop out of signs and the eye chart. And, something I noticed a year ago: I’ve developed a touch of face blindness. Which means that if I’ve known you for years and I suddenly don’t recognize you, it’s not because you look terrible. It’s because I truly cannot see you well enough to make out your features. Or because my brain can’t interpret what my eyes are seeing, and can’t make the connection to the memory I carry of you. I’m not sure which; I haven’t asked that question. The fact that I’ve got this slight face blindness is is really strange, given that the damage is to my non-dominant eye. You’d think that the dominance would overrule the distortion. Okay, *I* expect that. Except, it doesn’t seem to work that way. Which leads us to another big question: how can I work as an editor if letters drop out of my vision? That’s where it gets weirder: when I’m looking at my screens, my dominant eye kicks in and compensates. And the surgeon says, too, that my brain is learning to adapt to the dropped letters. I’m figuring out, he says — and I agree — how to look at things so that I can get a more complete picture. I’m learning how to look around the hole in my vision. Bizarre, isn’t it? You’d think it’d be the other way around, that I’d struggle with the small stuff and have faces down cold. But eyes, as we’ve all learned through this crazy adventure, are tricky, confusing, confounding, and amazing things. At one point during this whole ordeal, I looked at one of my surgeons — I think it was the cataract guy — and said that if I were 20 years younger, I’d go back to med school for ophthalmology. This is really cool stuff. So what’s the upshot of all this? I get to see the surgeon once a year now, so long as I check in with my optometrist in between my annual surgeon visits, to make sure my eye pressure is behaving. That problem probably won’t ever go away, and so I need to stay on top of it to keep it from damaging my optic nerve. I’m willing to do that, even though it means having my eyes dilated twice a year and letting them touch my eye with that strange blue light. Like everything else, you get used to it. Another upshot: this is what it is. It’s not nearly as bad as it could have — should have — been. And I can work as well, if not better than ever. In some ways, I work more slowly, more thoroughly these days. Just… if we see each other in public and I don’t seem to recognize you, don’t hesitate to say, “Hey, it’s Stevie.” (Except, you smartass, use your own name.) Like I said, it’s not you. It’s the strange gift of my right eye. A fun graphic to start us off! Because let’s face it: there’s nothing fun about trying to promote your book. With my upcoming anthology release (more on that later), I’m in the same boat: you’ve got to reach people, tell them about your project, encourage them to buy it. It’s thankless work, and it’s hard, not to mention time-consuming. And because I like to take care of my friends and clients, it’s worth it to me to take the time to pass along word of bloggers who are open to promotional events at their own site. Like this one. Louise Wise, owner of Wise Words Book Blogger, has openings and opportunities that she’d LOVE to see be filled up. (Sort of how I feel about the Featured New Book Spotlight!) Unlike me, though, she doesn’t have one static question. She’s got a bunch, and they change according to the month you’d like to be featured. Stop in and check out what she’s looking for. Yes, it’ll take you some time and effort to write a post on these topics. From a blogger’s point of view, I get it: we want fresh content, not recycled stuff. From a reader’s point of view, I get it: we want fresh content, not recycled stuff (and yes, I am thinking of the one best-selling author who wrote three guest posts for one of her books and then flooded the blogosphere with those three. By the time she was done, when I saw her name, I groaned. NOT a way to get someone to buy your book!). But as an author, I also get it because time spent writing yet another unique guest post means time away from fresh material. Still, I think it’s worth it. You never know how or when you’ll find a new fan, and if you make the right kind of fan — the one who’ll follow you around the Internet and be a magnifier for your appearances without crossing that line into creepy — they are worth ten times their weight in gold. Those are the sorts of fans who’ll sell a hundred copies of your book for you, and they are the kind we all dream about. Admit it. So… check out what Louise is offering to all of us and if you’ve got the ability to make the time, go for it. I’m certainly going to try — after all, anthologies are HARD to sell. It’s a BUSY week here at West of Mars, starting with yesterday’s visit with my client, Carol Kilgore. Stop in and see what I have to say about crowdsourcing your editing. And then pick up the first book in Carol’s new trilogy, Jalapeno Cupcake Wench. I loved working on this with her, and I think if you’re into mysteries, you’ll like this a lot. It’s light, it’s fun– but it’s also thought-provoking and with quite a bit of substance. Stay tuned. I’m busy with edits, as always, and as always, there’s room in my queue for your manuscript if it’s not already there. But there’s also a lot scheduled to be happening here at the blog over the next couple of weeks, and you won’t want to miss any of that, either. Although I’ve been at my desk, working, during this holiday break, I decided that since most people aren’t, anything I could or would post would wind up being ignored. So… West of Mars has seemed dark. I hate the word seemed in fiction because it’s often used incorrectly. Webster’s defines it “To give the impression of being” (or something darn close to that; let’s see how good my short-term memory is these days), and in fiction, that’s often attached to something that actually doesn’t give an impression. All too often, what’s being tagged with seem winds up doing more than giving an impression. And so I may seem to not be around, but that’s not the whole picture. Because I’ve been here, working, both on client work and my own fiction. My workspace is insanely comfortable and I love to be in here. And there’s only so much Two Dots that a girl can play. I have Lines of Distinction and Featured New Book Spotlights coming up in the new year. I am debating doing a year-end reading roundup like I used to, but truth be told, I didn’t read 40 books this year (I think my number stands at 38 or 39) and… they weren’t particularly memorable books. At first, looking over the list, I thought it was me, being pickier about the books I read for pleasure. But looking back at various roundups (Here’s 2011’s), I truly was more excited about what I was reading. It felt like in 2017, I was just reading books as a way of marking time. Give me book suggestions, will you? Books that you love, series you can’t wait to spend more time with. And send me your manuscripts to edit, so I can afford to buy and support more of the really good stuff that’s being written. See how the cycle works? Buy it, read it, review it, blog about it, someone else buys it, reads it, reviews it, blogs about it… and on and on. Let’s power some really good stuff to the forefront in 2018, shall we? This one just opened on December 1, and you know it’s in my wheelhouse, since it’s got a musical theme. Looks like Rock Fiction, smells like Rock fiction… probably quacks like Rock Fiction, too, if you can hear the music in a quack. 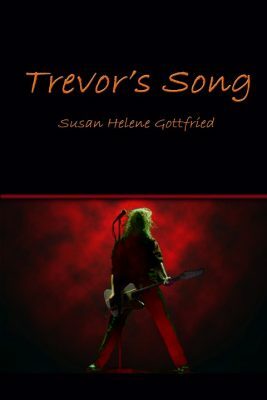 I love the idea of melding speculative fiction in with Rock Fiction. The possibilities here are absolutely endless, so push yourself to think of something more than the song that summons a demon, okay? Go. Have fun. Speculative means that someone somewhere’s gotta speculate, so speculate away, turn it into speculative fiction, build it on a musical framework, and you’re done. And it’s a paying market, too. That’s always a nice thing. Semi-pro rates (2c per word), and contributor’s copies. Get busy! And note that they, too, are using Submittable for their submissions. If you don’t have a Submittable account yet, what are you waiting for? Need the submission guidelines again? Here they are. And, as always, if you submit something and make the cut, report back! I love being able to brag about you guys. Still In Need of Promotion? Books do tell our stories! 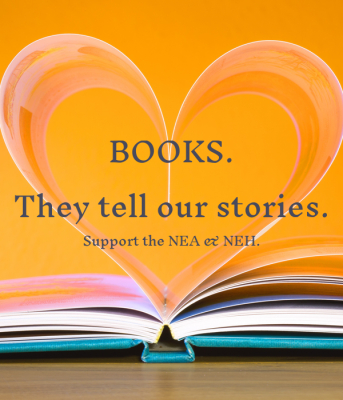 Not only should we support the NEA and NEH, but we should support each other, as well! Let me do that by sharing promotion opportunities with you. Two easy promotion methods that I offer here at West of Mars — why aren’t more of you using them? If you have, or if they are too hard for you (really? All you graphic teaser people? ), here’s another promotional opportunity for you. It’s over at Wise Words Book Blogger, where Louise Wise is looking for current affairs articles written by your protagonist. And seriously fun, no? Especially if you have a protag who doesn’t share your worldview. Stretching yourself to understand how your character would view something happening in the news right now is a great way to get to know not only your character, but to gain a better look at the world, as well. We’re always told to write what we know, but sometimes, the demands of fiction don’t allow us to do that. This is a great opportunity to learn new things, stretch your writerly wings, explore a bit — and get some eyeballs on your project(s), too. Go for it. Tell Louise I sent you — and be sure to drop me the link when it runs! 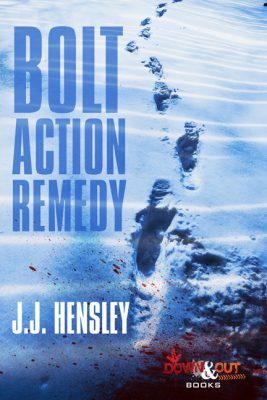 Speaking of promotion, here’s a freebie for my friend JJ Hensley. Pick up his latest, why don’t you? I love my clients, and I absolutely adore being an editor. I get up every morning, eager to see who’s dumped what in my inbox, and what’s happening in my current edit-in-progress. I am one of the luckiest people ever, because I get to work with great writers on great projects. But having great projects that turn into great books doesn’t mean anything if readers don’t ever hear about them. That’s why I offer the Featured New Book Spotlight and Lines of Distinction. It’s also why I like to share your success stories, and also to let you know of calls for submissions… and for promotional opportunities. Like this one. The POTL: All Things Books, Reading and Publishing blog is accepting Wednesday Book Spotlight submissions from now until the end of the year. All you have to do is email NN Light your name and book title, and they will take it from there. It’s first come, first served, of course. But it’s promotion, and who doesn’t need promotion? I’m totally going to have to have a graphic made for these calls for submissions. Wouldn’t you agree? Anyway, this is the cover for an anthology that I submitted to — and made the cut. Seems fitting to include it here. WOW-Women on Writing hosts a twice-yearly contest and call for submissions for both flash fiction (word count between 250 and 750; open topic) and creative non-fiction. There IS a $10 entry fee, but they are clear about where the money goes (yay for transparency!) — and they are only accepting the first 300 entries. That sounds like a lot until you stop and consider that entries are open to writers worldwide and we all know I’m not the only one spreading the word about this contest! Yes, it’s a contest. Did you miss the other times I mentioned that? Winner gets the entry fees — and more! The rules for non-fiction are a bit different, so go check them out at the WOW-Women on Writing site. Enter away! Once they hit the max number of entries, the buttons will be disabled, but as I’m typing this, they are live, so go have some fun! As always, if you make the cut at any stage or wind up the winner, be sure to let us know so we can all cheer you on. And remember: you can totally do a Featured New Book Spotlight for published short pieces, as well! Good luck, and here’s that link again.